He doesn't seem disheartened after President Duterte's objection. 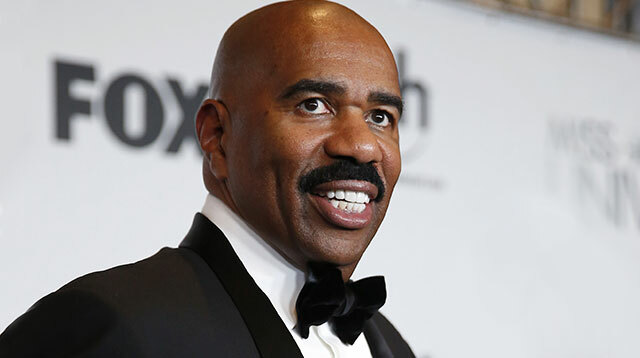 Despite the Philippine president expressing his outright objection, Steve Harvey still wants to host the Miss Universe 2016 beauty pageant early next year. In a recent tweet where he replied to reigning Miss Universe Pia Wurtzbach, the American host said he just “can’t wait” to host the event once again. Earlier, President Rodrigo Duterte was quoted saying he wanted Harvey replaced as the pageant’s host following his gaffe last year where he erroneously announced Miss Colombia Ariadna Gutierrez as the winner. On the other hand, Pia said that she wanted to see Harvey back as the prestigious pageant’s host. Miss Universe 2016 will be held in the Philippines from January 13-30, 2017 next year in multiple locations, with its coronation night scheduled at the SM Mall of Asia Arena.